A sweet Florida treat featuring a solid Chocolate Alligator nestled in an assortment of sure-to-please Citrus Juice Candies, Pecan Log Slices plus Chocolate Candies with Pecans, Coconut, Orange, Mint and Peanut Butter Flavors arranged in a round wicker basket. 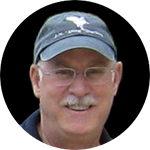 Sign up to be notified when Tail Gator Basket is in season. 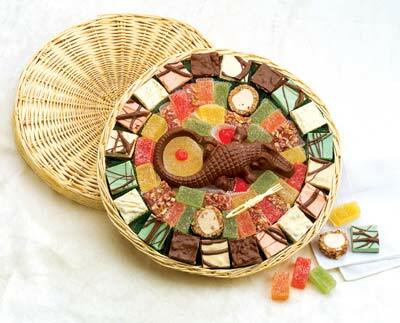 The Tail Gator Candy Basket is available November through April. Weight (approx. ):  28 oz./.8 kg.